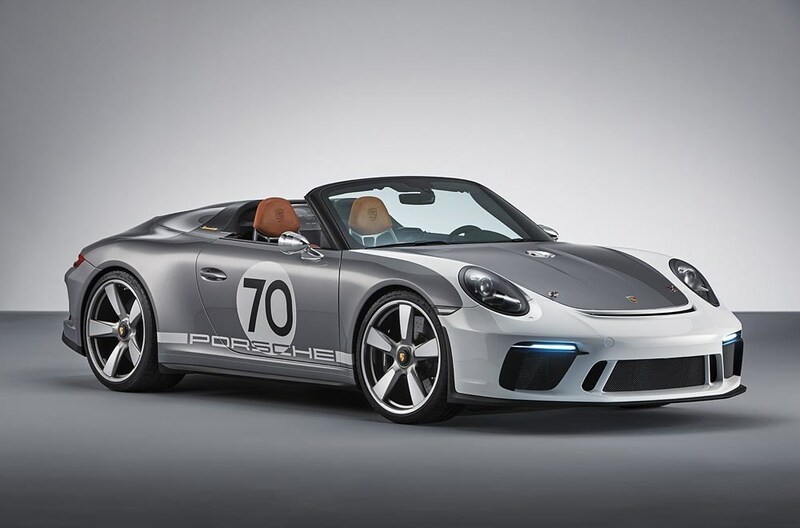 Porsche has unveiled a thrilling concept as part of the 70th anniversary of its sports cars: the 911 Speedster Concept is a drivable vision of a particularly exciting open-top sports car. It links the very first Porsche 356 “No. 1” Roadster, which received its operating permit on June 8, 1948, with today’s Porsche cars. The purist concept and historically accurate execution of the 911 Speedster Concept clearly reflect the essence of the Stuttgart-based sports car manufacturer. All elements of the car emphasize a pure driving experience. The powertrain under the two-tone painted body of the concept is derived from current GT models. 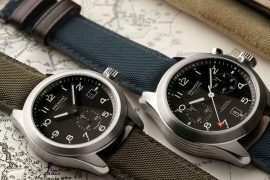 It was developed at the Porsche Motorsport Center in Weissach, which is the birthplace of the 911 GT3, the 911 GT2 RS and, most recently, the 911 GT3 RS. 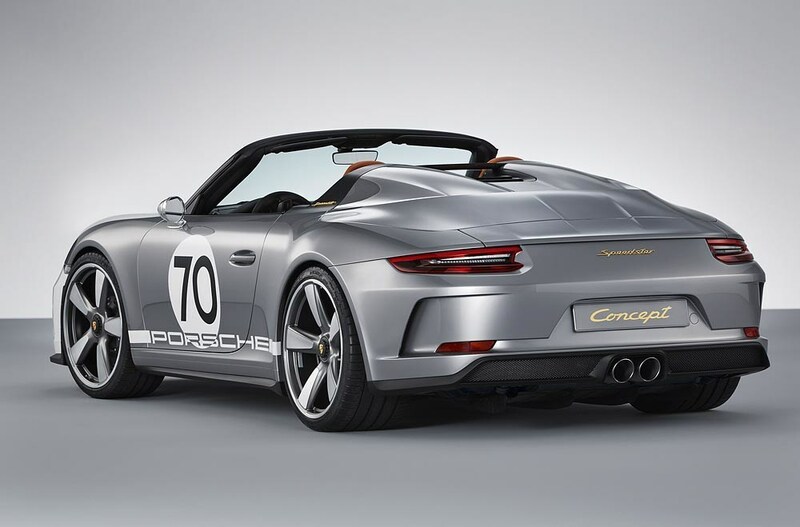 The 911 Speedster Concept celebrated its world premiere as part of the official “70 years of Porsche Sports Cars” anniversary celebration in Stuttgart-Zuffenhausen. The characteristics of the 911 Speedster Concept include a shorter windshield frame with a greater windscreen angle and shorter side windows. These features give the concept an even more pronounced stance with a very low fly line, which is reminiscent of its predecessors, for example the Porsche 356 Speedster. A special rear decklid made of carbon fiber connects behind the front seats, covering supplemental safety bars and featuring two “streamliners”, a traditional element of this sports car design since the first 911 Speedster was introduced in 1988. Two contrasting black slats between the “streamliners” add an aerodynamic touch, and a transparent Plexiglas™ wind deflector features an etched ’70 years of Porsche’ logo. Like the historic original, the 911 Speedster Concept also features a lightweight tonneau cover in place of a convertible top. This cover protects the interior from rain when parked and is attached using eight Tenax™ fasteners. 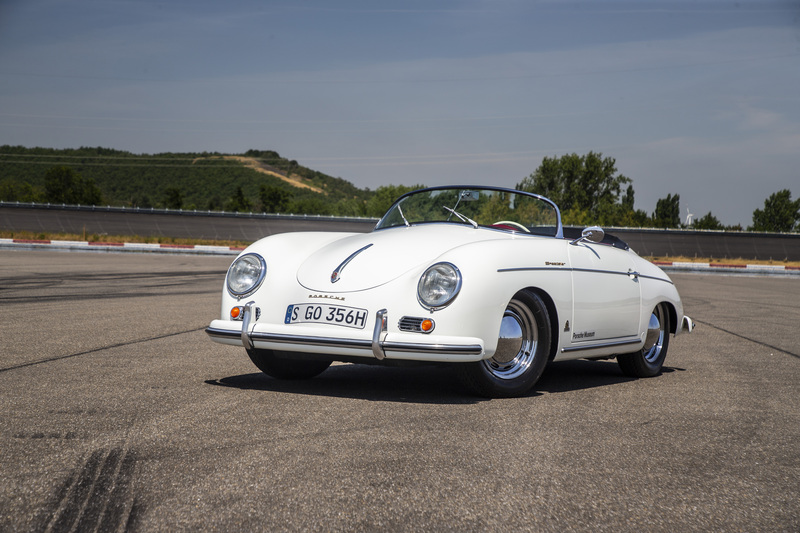 The Speedster philosophy also defines the interior, where the navigation, radio and air conditioning systems have all been removed to reduce weight. 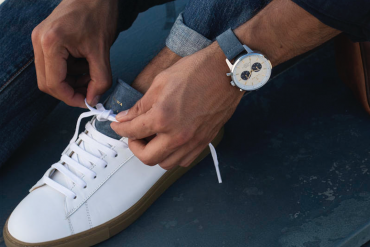 The Full Bucket Seats are made of carbon fiber, and light brown natural leather in Cognac picks up on features from the car’s classic predecessors. The body of the concept car was adopted from the 911 Carrera 4 Cabriolet. The fenders, front trunk lid and the rear decklid cover of the concept are made of light-weight carbon fiber reinforced polymer composite material. Traditional GT Silver Metallic and White paintwork harks back to Porsche’s early race cars – as do many of the other carefully crafted details, such as the 50s-style central fuel tank cap positioned in the front trunk lid, the classic Talbot® shape of the exterior mirrors or the unique design of the headlights. Transparent and opaque surfaces on the headlight covers resemble the shape of an “X” and are a nod to a practice prevalent in Porsche’s early years in motorsport. At the time, the headlights were taped up before races to protect them against stone chipping and to prevent the glass from shattering. The wide B-pillars and the rear fascia are decorated with milled, gold-plated Speedster lettering. 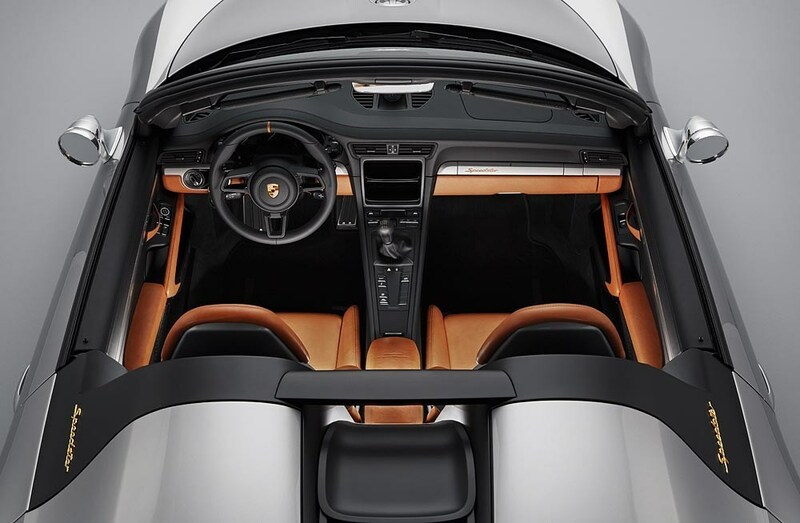 Underneath the skin, the 911 Speedster Concept features state-of-the-art components. The chassis is essentially derived from the 911 GT3. Imposing 21-inch Fuchs-design rims with contrasting high gloss polished petals details are unique to the 911 Speedster Concept. It is the first time that Fuchs-design wheels have been fitted with center locks. The GT development department also supplies the exhaust system with titanium tailpipes and the powertrain, which includes a six-speed manual transmission. The naturally aspirated flat-six engine in this minimalist concept study delivers over 500 horsepower and revs up to 9,000 rpm. Speedster variants of sports car models, which combine open-top driving pleasure with incredibly distinctive driving dynamics, have been part of the Porsche company history since 1952. The forefather of Porsche Speedster models, the 356 1500 America Roadster, had an aluminum body manufactured entirely by hand. It weighed about 130 pounds (60 kilograms) less than the 356 Coupe and its top track speed of 108 miles per hour (175 km/h) with its 70-hp four-cylinder flat engine was impressive at the time. Featuring slot-in curtain windows for the doors, a folding top and lightweight bucket seats, this car developed exclusively for the US market was built just 16 times and already embodied several key elements of the Speedster design. The 356 1500 America Roadster. Photo: Porsche Cars North America, Inc.
By 2010, eight different production and special models bearing the “Speedster” name had been created. The 356 A 1500 GS Carrera GT Speedster represented a highlight in 1957, and the first 911 Speedster followed in 1988. Limited to just 356 units worldwide, the 911 Speedster of the 997 generation built in 2010 was the latest model to be fitted with the famous designation. The 911 Speedster. Photo: Porsche Cars North America, Inc. 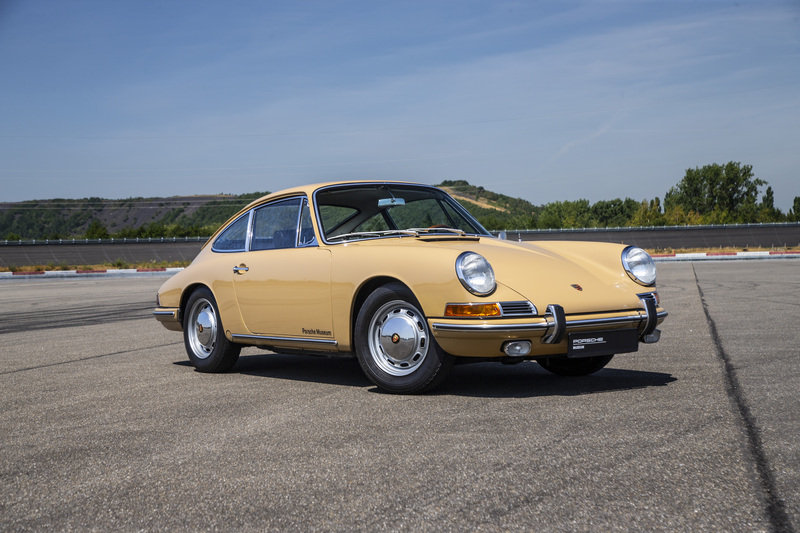 In a special exhibition at the Porsche Museum, the company is showcasing numerous stories and milestones with which Porsche has decisively influenced the development of the sports car since 1948 and continues to do so today, highlighting outstanding Porsche developments over the past seven decades. 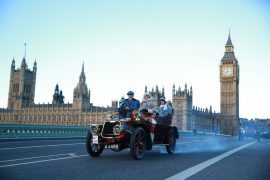 The sports car manufacturer is also celebrating this anniversary with numerous activities around the world throughout 2018. The Rennsport Reunion VI at the legendary Laguna Seca racetrack in California will be held from September 27–30. The celebrations will conclude with the “Sound Night” event, which will be held for the first time in the Porsche Arena in Stuttgart on October 13.